Invite all of your friends to sit around the Haze Voyage table, because a journey is best measured in friends. This linen’s sophisticated geometric pattern creates a bold and beautiful foundation for your celebrations. 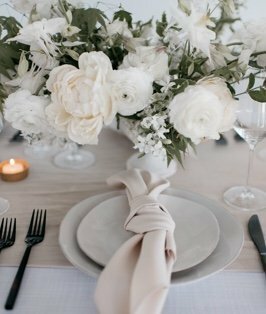 Forming a strong foundation for any tablescape, this blue-green and pristine white linen brings the class to any event.